The base is an extremely significant part of a bar stool. Not only does it provide the strong foundation of the structure itself, but it can also greatly affect its overall appearance and style. 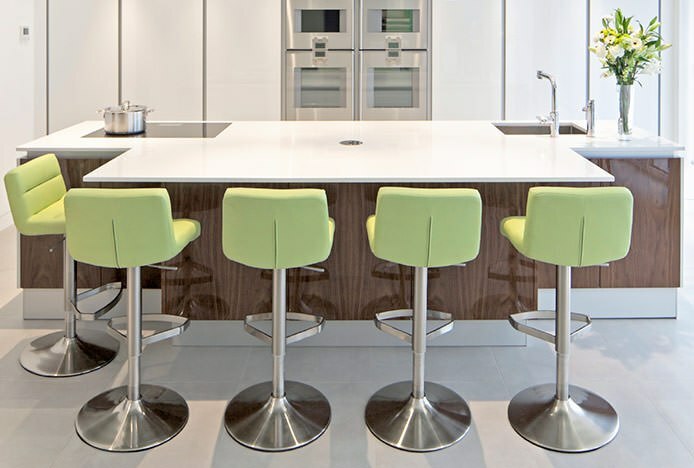 More contemporary stools tend to feature round or square bases that stabilise the central tubular stem, which in turn supports the seat. The designs of the bases are generally either flat or domed, and each contributes different practical and visual elements to the design. "All Atlantic Shopping bases provide effective underside protection for your floor. Depending on the design and style of the product, felt, foam, plastic or rubber protection is very important in helping to look after your floor surfaces." Our popular range of gas lift bar stools have a 360-degree swivel mechanism meaning that you are able to rotate the seat whilst getting on, rather than repositioning the entire frame. It is for this reason they're rarely moved once they're in position. If you are planning on moving them however, we always suggest trying to lift it slightly as opposed to dragging it, as repeated dragging of any item could possibly cause scratches. In order to highlight all of the different types of floor protection, a brief summary of each of our bases has been supplied below and includes a description of the protective devices to expect when opting for these specific bar stool designs. Typically used for stools with a chrome or brushed steel finish, round domed bases feature heavily in many of our most popular designs. Exuding stylish appeal, the sleek central column is securely inserted into the base via a compression joint. Surrounding the inserted stem, the smooth domed shape also forms an attractive and eye-catching part of the design. In addition, the base provides a good deal of floor protection as it includes a hidden 10mm plastic or rubberised protector, which encircles the outer rim and aids the preservation of an array of flooring. Budget-friendly stools tend to utilise slightly more plasticised protectors, whilst the higher priced designs have rings with a greater rubber content, meaning they are softer and consequently have increased protective capabilities. Exemplifying domed bases, our bestselling Padded Crescent Bar Stool makes a contemporary statement, whilst simultaneously protecting surfaces through its employment of an underside ring. Square bases have always sold at a premium price thanks to the fashionable designer look they deliver. With an upmarket aesthetic and contemporary chic, they have proven undeniably popular. Whilst our square domed bases deliver this much sought after look, their domed nature allows for a great discounted price. Plus, it is this dome that creates the key strength needed to provide a stable and sturdy stool, also making designs significantly lighter than the flat base alternatives. This is a great advantage if you’re likely to rearrange your furniture from time to time, as they’ll be much easier to lift. Typically finished in polished chrome, they exude a glossy modern radiance. To help minimise any potential damage to flooring, protective plasticised pads can be found in each of the four corners on the underside of the base. Helping to prevent against any scuffs and scrapes, our Neo Stool is a prime example. 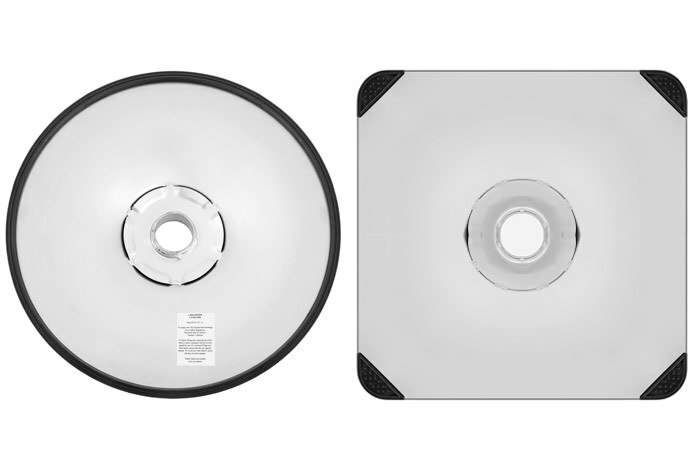 Round, flat bases are generally found on many of our more deluxe designs. Composed of solid steel that has been provided with a distinctive polished chrome or brushed steel finish, flat bases give an effortlessly sleek look that is sure to draw attention. Attached to the stem through counter sunk bolts that can only be seen on the underside, the base is proves effective on all surfaces. This provides flat bases with a strong foundation, and therefore means that they are distinctly sturdy. Furthermore, the heavier nature of the base material contributes to the greater stability of the frame, and consequently means that they have an implemented, high quality level of floor protection. Depending on the design, this usually consists of a number of felt or rubber pads located around the edge of the round base, as seen on the Ava Brushed Bar Stool. 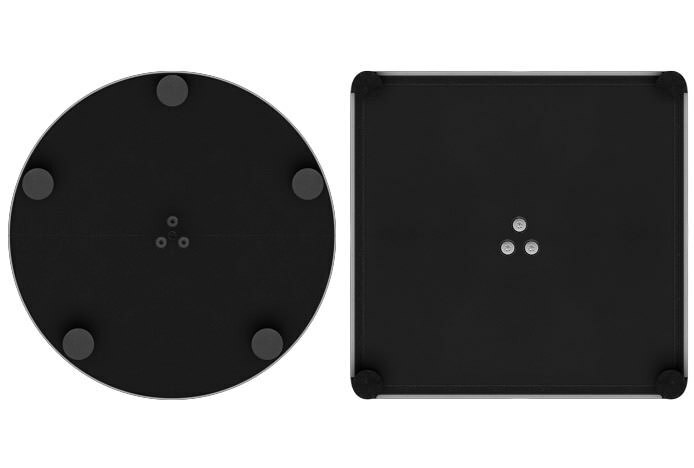 Boasting a circular base, the Ava's use of these rubber pads help to protect even the most delicate of floor surfaces. Square flat bases have similar characteristics to round flat bases as they are composed of solid steel, which is then finished in either a chrome or brushed steel shell. Utilising steel means that the base is a great deal heavier than many other styles, and subsequently has a lower centre of gravity that grounds the design and gives it a sturdy footing. Additionally, the base is securely connected to the stem through three counter sunk bolts, which allow the base to sit level on surfaces with secure attachment and full support. The underside protection provided on these bases typically consists of felt or rubber being used around the edges and corners to aid its non-slip and non-scratch capabilities. This is exemplified on the square based Addison Bar Stool, which utilises felt edging to help protect your floor. Although the protective bases are suitable for use on the majority of surfaces, particular care should be taken whilst applying rubber against Karndean flooring as it can darken areas where it comes into contact. If you do have a Karndean floor, we would recommend felt pads. If you have any further questions please don't hesitate to get in touch. Give us a call us on 0121 230 1644 and our friendly customer services team will advise on the designs more suited to your floor. A handy guide to the features that make our bar stools super strong..